The exhibits in the Virtual Museum are intended to work in a manner similar to the exhibits at a physical museum. That is, the exhibits are resources and educational artifacts gathered around a central theme, be it a time period, an historical event, or a cultural phenomenon. Various resources related to the theme may be further explored in the Collections, including documentaries and other videos, literature, images, biographies and performance art. Ultimately, the exhibit should provide a general sense of its theme to the visitor, and prompt further investigation. Paintings and installations are not just visual images. They also encrypt the impressions, passions, aspirations, responses and understanding cherished by the Asian Canadian visual artists. 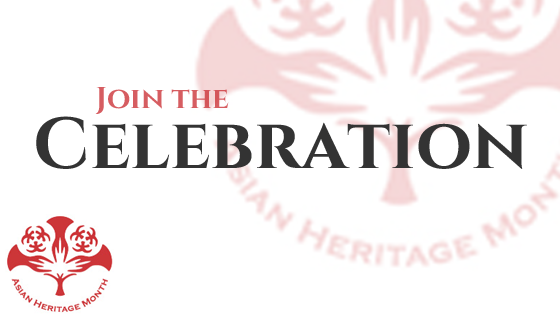 Join the Celebration: Asian Heritage Month Festival! May is Asian Heritage Month across Canada, join us as we celebrate cultural heritage, art, history, education and identity.